Costa Rica has long been a major hub for online gambling, sports betting, and poker. A few of the largest and most successful names in all of gambling are either currently based out of Costa Rica or were in the past. The country has call centers, headquarters, and even a few billionaires all related to internet gaming. The funny thing is Costa Rica doesn't have a licensing system and never has. 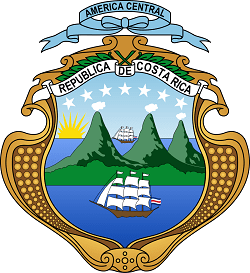 There are no licenses, permits, or regulatory bodies governing online gambling in Costa Rica. All the operator needs to do is run the business how it sees fit. There are no laws in Costa Rica that specifically address the business of online gambling other than one: no company located in Costa Rica may take online wagers from locals. If you're a player, that might sound scary. Anyone can set up shop in Costa Rica and ask for your money. However, you should remember that a number of respected gambling sites still operate out of Costa Rica. It's a beautiful country with a low tax rate and limited business-killing regulations. Not every gambling site in Costa Rica is there to take advantage of the licensing situation. But yes, there are also bad operators working out of Costa Rica. If you're in the market for a gambling site, we recommend looking at our reviews rather than basing your decision on where the site is located or what licenses it has. Licenses don't tell the whole story. In some jurisdictions, licenses are handed out so easily that it's just as useless as having no license at all. There's no official license for online gambling in Costa Rica, so all gambling operations simply get a "data processing" license from San Jose City Hall. Then, the operator sets up a corporation and corporate bank account in Costa Rica. Banking is difficult for gambling sites in Costa Rica as the banking system there is heavily influenced by the United States. Local banks want nothing to do with online gambling. Obviously, there are ways around the banking problem. Corporations in Costa Rica aren't taxed on income earned overseas. Since operators based out of the nation do zero business with locals, they essentially operate tax-free. There are several companies that specialize in getting everything set up for those interested in starting an operation in Costa Rica. These companies are able to assist in establishing a Costa Rican corporation, getting a banking solution in order and obtaining the data processing license. President Laura Chinchilla announced in 2013 that the Costa Rican government was interested in regulating and licensing online gambling. The Finance Ministry released draft plans to issue licenses to providers for an annual fee of $50,000. The proposal also included a 0.5% tax on gross income and a 5% tax to combat any criminal activity associated with gambling. Nothing has changed as of this writing, but it's worth noting that the idea is at least floating around out there. We'll update this page if anything changes.